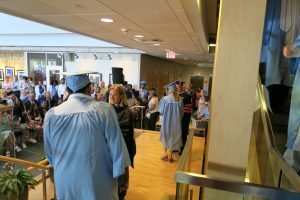 Sunday, May 14, the campus of UNC-Chapel Hill was filled with the hustle and bustle of proud parents, grandparents, brothers, sisters, relatives and friends of soon-to-be Tar Heel graduates. There was an excitement in the air—an air of new possibilities and a journey complete. Graduation day, a celebration of achievement, hard work and discipline of students closing one chapter and beginning a new. Congratulations to all the 2017 graduates! We are especially proud of our own Econ grads, who we celebrated during our own graduation in the FedEx Global Education Center on Sunday. The venue was packed with people, inside and out. 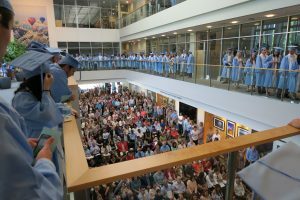 Our graduates lined the second floor balcony as the prepared to hear their name being called. 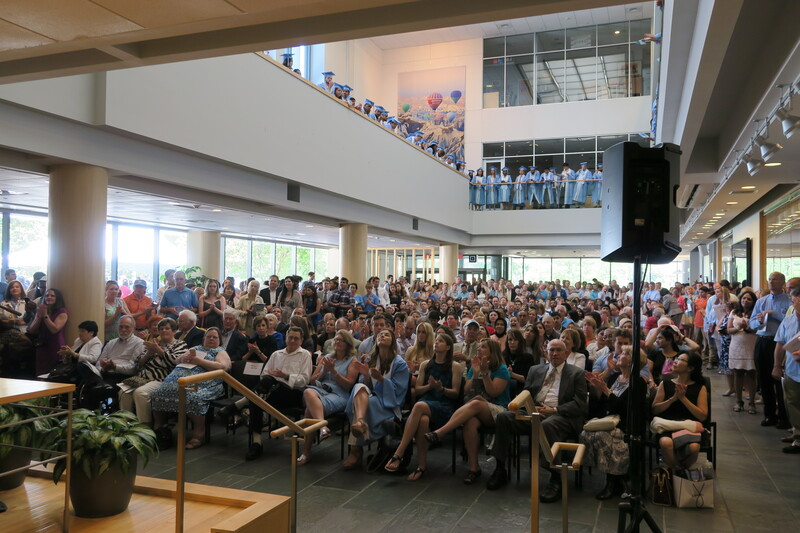 There was a nervous energy and excitement mixed together for our graduates. Nervous about life after college, and excited about future aspirations. As the graduates processed down the stairs, they were greeted by Dr. Rita Balaban, Director of Undergraduate Studies, who read each name aloud and paused to hug former students. 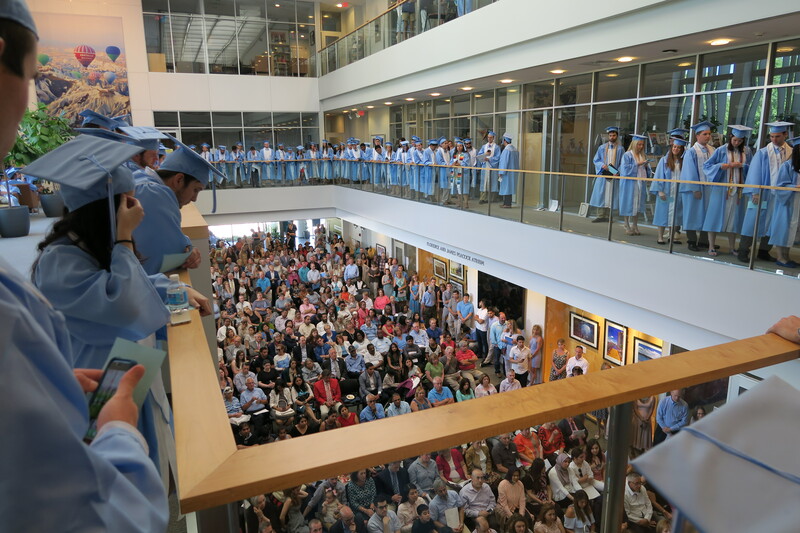 And then they received a certificate of completion from Dr. Patrick Conway, Chair of the Economics Department, as the crowd cheered them on. There was plenty of celebration, food and fun throughout the day. To our seniors, we recognize all of the hard work and dedication that you have put fourth throughout your college career, and we wish you well in your future endeavors! You will definitely be missed. Feel free to come back, visit and let us know how you are doing.